The month of December is the month for joy, laughter with family, presents and gifts. For the majority of the population, this means a time to enjoy life and spend their hard-earned money. In fact, a Statistica Survey for 2017 shows that 89% would be participating in the festivities. That is great news for retailers and manufacturers alike. You can taste the cheer in the air, the toy and gaming companies feel it as well. But the good news does not spread to everyone; there will be a decline for businesses in key areas, such as construction, government projects, and even real estate. The demand for these areas typically falls-down at the start of the fall holidays to January of the following year. This usually means lower revenues, while at the same time having the same or even increasing expenses in the form of bonuses and other miscellaneous cash outlays. This is where we come in, to help you brainstorm on how not just to survive, but to excel and celebrate after the holidays! 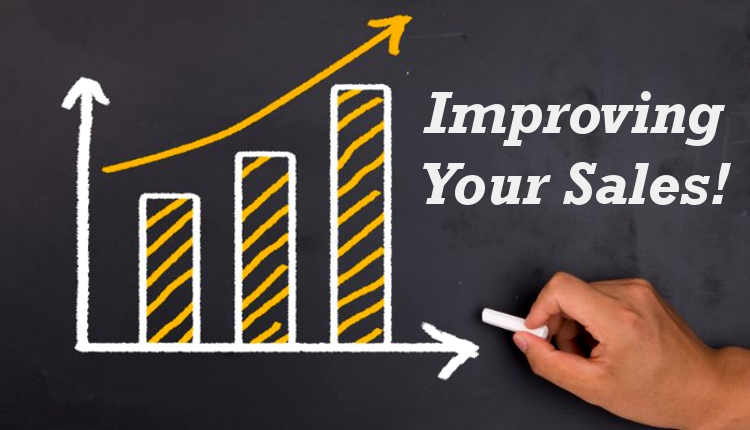 What Can You Do to Improve your Sales? However, while the sky is the limit for your creativity, life is not always as kind. Resources, or the lack thereof, can restrain how efficient and profitable your business is. While you can brainstorm for ingenious plans and tactics, all of the possible plans revolve around the use of your capital resources. Get new capital resources you need. Here are few options you have available to improve your efficiency, especially for businesses that experience a downturn during the holidays. Finance your Small Business for Growth in 2018! Strengthen your business relations. Social capital is a real deal. This is especially true for companies who do business to business marketing. We are not talking about a postcard or a gift, which may rub suppliers or retailers the wrong way. Instead, give a gift that keeps on giving, like a discount towards the volume of sales. Execute your plans and strategies. Remember your business plan from the year before? Chances are there are still some things left in the checklist. December are always a great time to experiment, remember this for the 2018 holiday season, plan-ahead for the year in every aspect. A lot of people will congregate, and your plan might give you a welcome boost. Do a contest or charity activity. Having problems with your inventory? You can do a great holiday marketing activity with a contest! You might even get some tax breaks or benefits through your accounting. A charitable activity will also give your business a better image and tax breaks – as long as you do not go beyond the gift limit – you can also bring a lot of joy to others that are in dire need of your presence and support. The good ole saying “Pay it forward” It’ll come back to you. Plan and budget for the next year. You can focus your human resources to prepare for the next year. You can take advantage of the jolly atmosphere and great buoyant market sentiment by the bigger consumptions. Position your business properly for your 2018 plans. A lot of suppliers will be giving discounts and sales to get rid of old inventory. You can take advantage of these great bargains. However, you can’t create something out of nothing. For businesses, capital is the lifeblood and without it, you can’t do much. Which is why asset based financing for your business is very important. How can you get your discounted supplies and execute your best-laid plans without capital? It is either extremely difficult or just downright impossible. To add salt to injury, traditional banks are stricter when it comes to giving out small business loans. That is where alternative financing comes in. Alternative financing methods like accounts receivable financing (invoice factoring) or purchase order financing can help you tide over the cold month of December. B2B businesses are profitable in the long run, but cashflow problems can turn hopeful companies into bankrupt ones. Leaving them with no other options but to close their doors. 20% of companies file for bankruptcy after just one year of operations. 29% of those of more attribute it to cashflow problems. Not marketing or product problems, but cash flow. Cashflow problems are a big issue to some small businesses. Simply because a profitable company only needs time to get its revenue and profits, but expenses do not wait for your revenue. Which is why our financing firm has helped companies get in the green through alternative financing methods. Companies that survive on their fifth year can be confident that their business will weather through most difficulties. If you have cashflow problems, contact Meridian PO Financing, and you can be assured of a funding deal where everybody wins. Thank you for your participation and we look forward to hearing from you in our comment section.